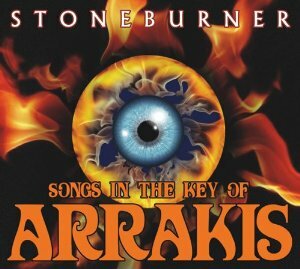 Stoneburner is the solo project from Steven Archer, combining tribal fusion dance music with experimental sounds. Archer is a multifaceted musician, artist, and writer best known for Ego Likeness, a dark electronic rock band that he started with his wife in 1999. Stoneburner is his vision of the music and philosophy of Frank Herbert s series Dune, fusing traditional instruments and vocals from all over the world with modern electronic dance music in an attempt to tap into the book s techno-tribal aesthetic.